A luxury brand for design lovers. The luxury consumer has evolved. McGuire needed to find a new way to connect. Keeping up with the McGuires used to mean California cool for luxury homeowners and their designers. Keeping up with the McGuires used to mean California cool for luxury homeowners and their designers. Ever since McGuire started producing furniture in the 1950s, their elegant design, natural materials and superior craftsmanship defined casual luxury. While their philosophy did not change, their market did. Today’s luxury buyer is young and active and used to shopping online for everything. Same for the interior designers who help complete their homes. 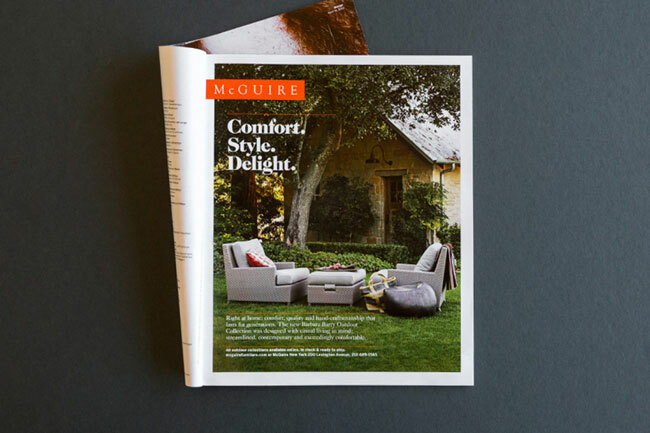 McGuire had to rethink and modernize their market approach while staying true to the brand. 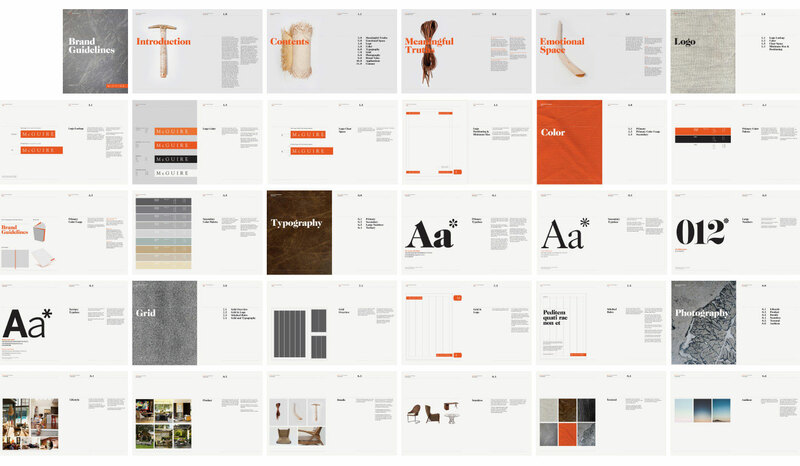 Emotive Brand developed a brand strategy that honors the excellence of the past and positions McGuire for today. 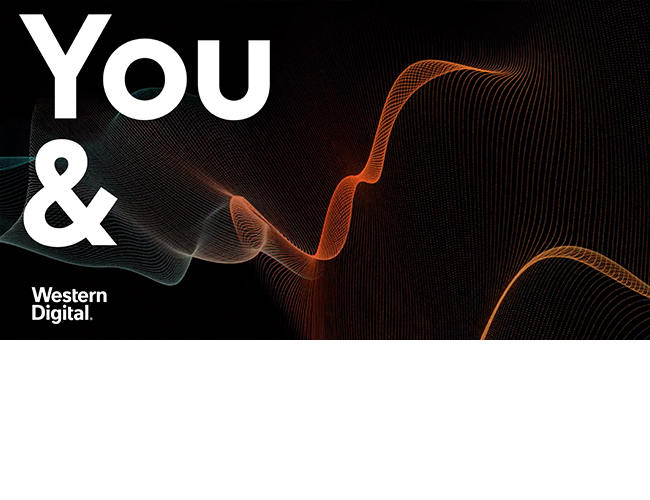 We developed a new visual identity that’s more current, casual and relaxed. 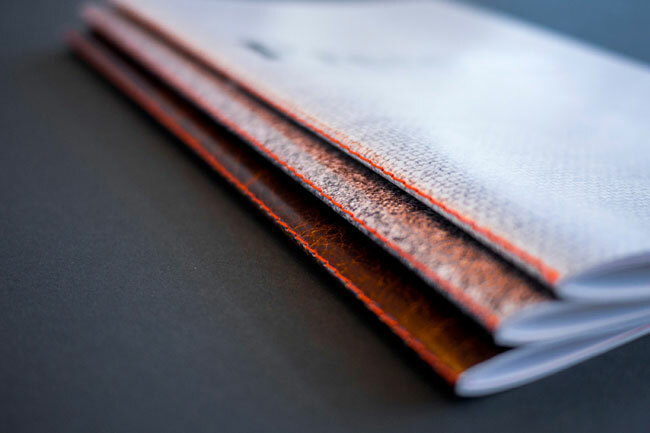 We designed new catalogs that are fresh, airy and optimized for online browsing or in-home presentation by professional designers. 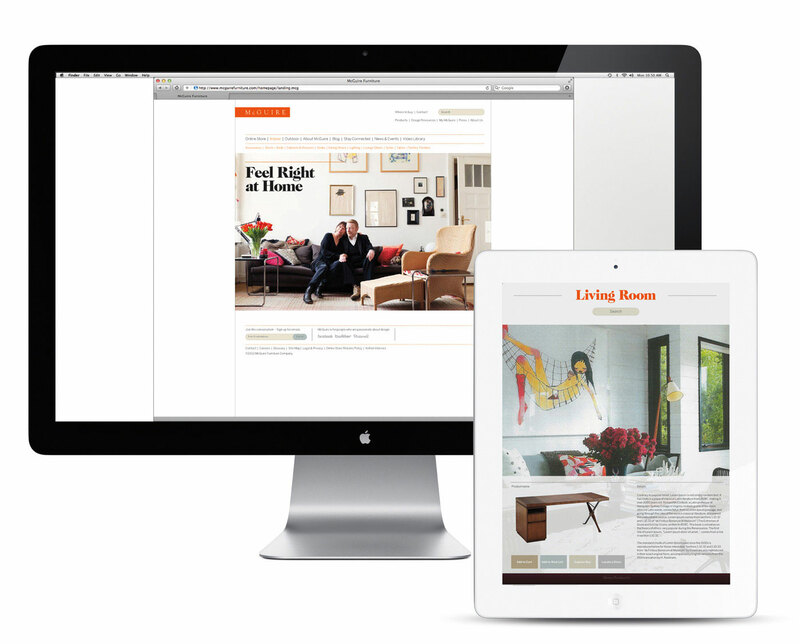 The McGuire brand is now a comfortable fit, helping design lovers feel right at home. Stay true to the roots. When a brand has been successful over a long period of time, it’s doing something right. It’s a sign that the brand knows when to change with the times. The authenticity of a brand that knows its strengths gives us latitude to bring it up to date and compete with current rivals, while respecting its heritage. Luxury no longer requires white-gloves. Recalibrating brand strategy can be scary for an established brand. But adapting to shifting trends is essential for any brand that needs to matter to buyers. Especially choosy buyers looking for the fine line between luxury and casual. People who find luxury at home, with shoes off, a cashmere blanket and a free afternoon to nap. A shifting demographic means it’s time to reach out to new customers. But just don’t expect them to come running. Get to know your new customers: how they shop, what they’re looking for and what they care about. Only then can you make the connection and serve up your brand to them in a way that meets their expectations. A brand by designers, for designers. 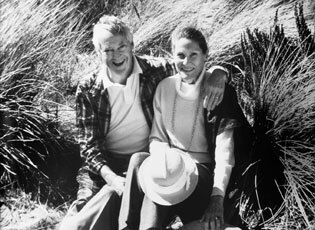 John and Elinor McGuire were born designers. 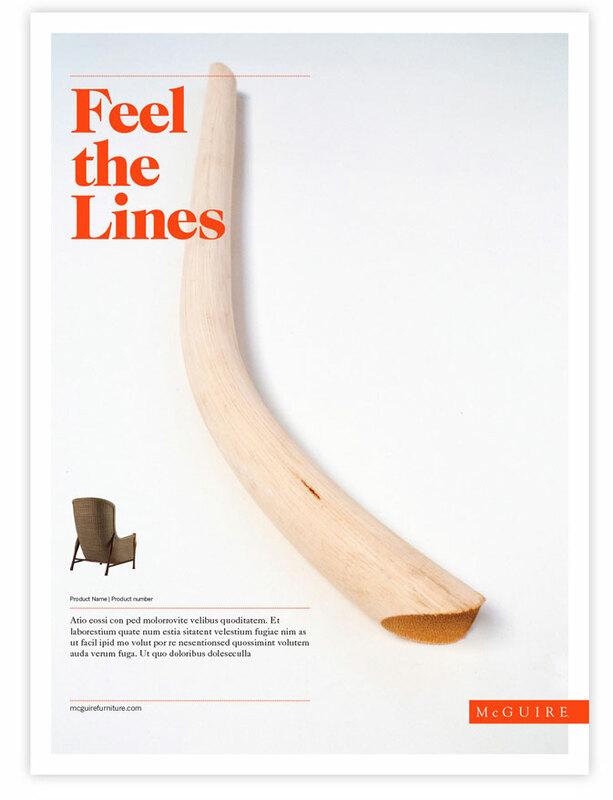 And from the beginning, McGuire has been a brand for design lovers. We made designers the center of attention by celebrating their mastery, their taste and their craftsmanship. The look of a leader. Strong design decisions complemented smaller elegant details. Using a brighter, more unique orange positioned McGuire for the future. The introduction of white space showed our passion for design lovers and the classic yet relaxed typeface showed McGuire’s confidence in its position as an industry leader. The overall look of the brand now shows a fine balance between contemporary and classic in a very relaxed and friendly manor. The mix of master designers and eclectic product collections show off a more laid-back side of McGuire. McGuire needed a thorough brand cleanup. Our tight guidelines relaxed the look at every touch point. 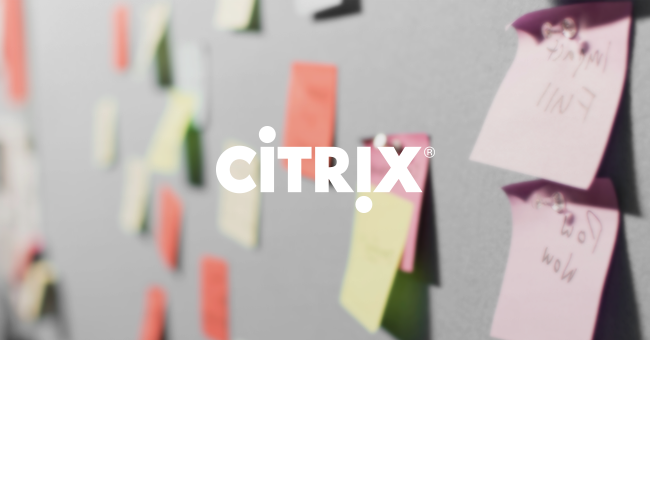 Weave the brand story into every thread. 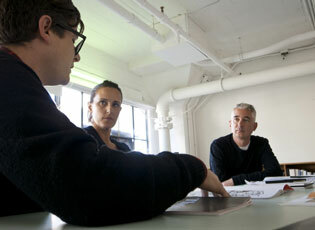 People who know McGuire understand the aesthetic and design principles of the brand. People who don’t, can be persuaded. 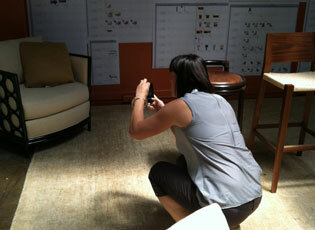 We took care to reinforce the brand story at every point of interaction with homeowners and interior designers. Consistency is the key. We became luxury experts and furniture aficionados. Empathy is the only way to address a niche market accurately. 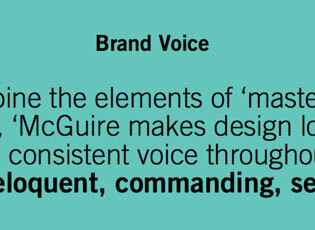 Understanding the motivations of the design-driven consumer was essential before crafting a strategy for McGuire. We immersed ourselves to gain a personal understanding of the luxury sector. Find your voice and sing it loud. A brand needs to speak in a consistent voice across all platforms to deliver an emotional connection to people. 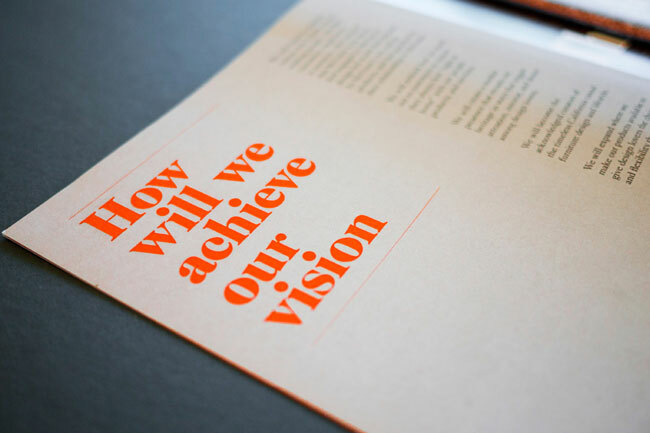 For McGuire, we wrote clear brand voice guidelines that reflected the values and emotional impact embodied in the brand promise. Make the design lover the hero. 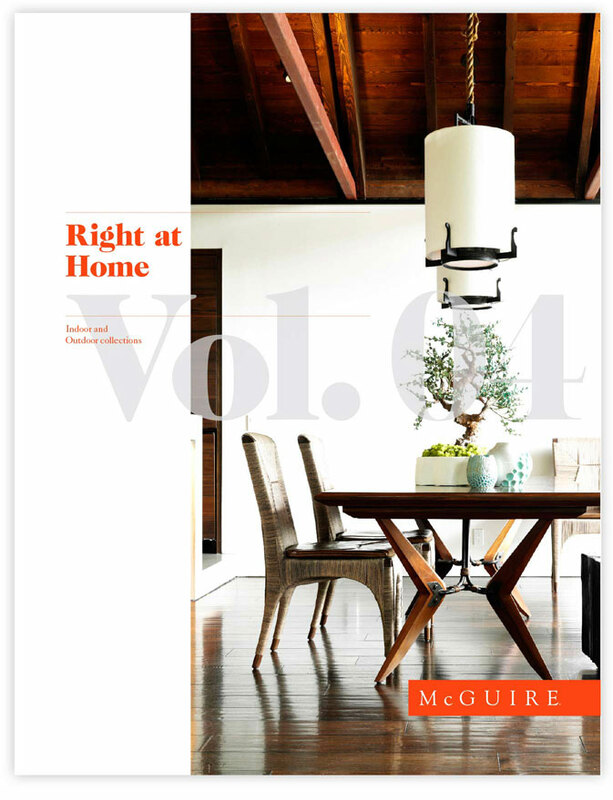 Not everyone is a true design lover, but those who are take center stage for McGuire. 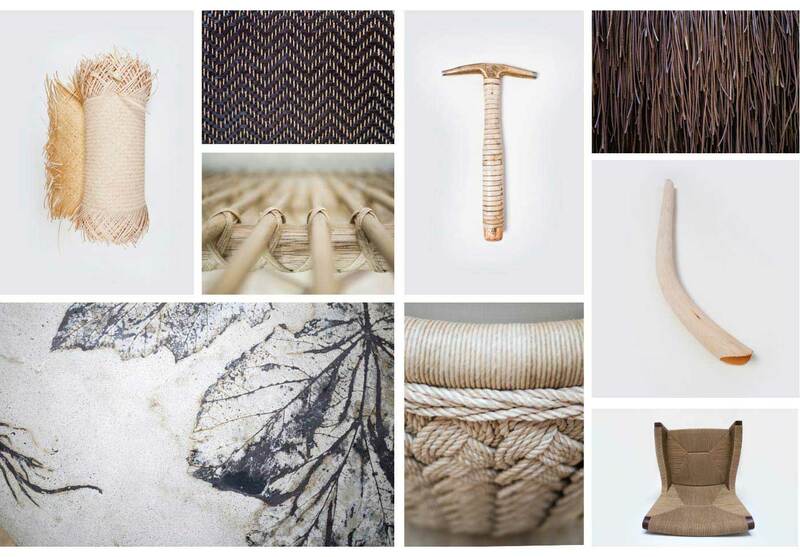 From the designers at McGuire, the interior designers who spec their products, and the homeowners who love and appreciate great design, our brand strategy paid tribute to their sensibilities.